Tekserve, known as the “original Apple Store” and a technology icon in NYC for 29 years, sadly closed up shop this week. And in traditional “everything must go” style, is putting its gigantic collection of Macs up for auction. And it’s seriously a lot of Macs. It’s not quiet the Mac collection we’ve seen from some avid Apple fans, but this lot would put you in the Mac-collecting big leagues in one feel swoop. 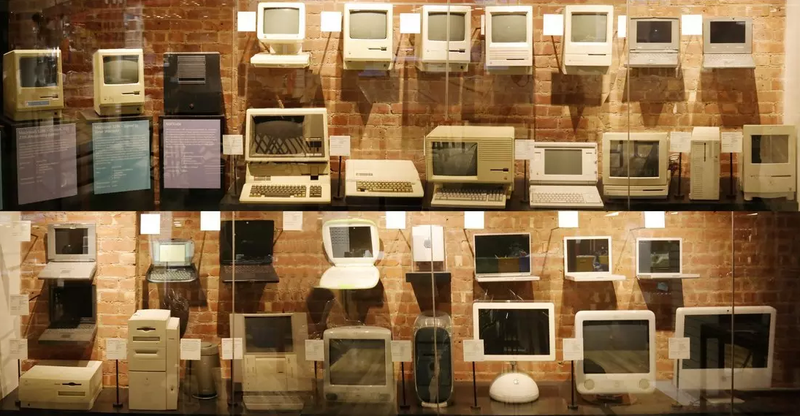 The 35-piece collection was part of Tekserve’s Mac Museum. To be annoyingly technical, they’re not all Macs. One black sheep (literally, it’s black) is the NeXTcube, the machine Jobs dreamed up after being let go from Apple. There’s also a Macintosh 128k signed by Wozniak himself. This 15-Year-Old Owns an Apple Museum—What Have You Done Today?